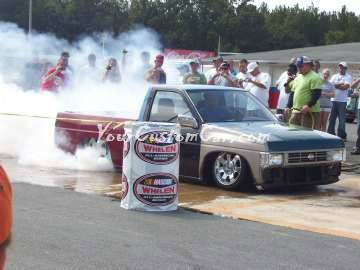 The Scr8pFest 11 burnout competition was one of the best that I remember seeing this year. At first we weren't sure if we were even going to have the competition since we required the competitors to sign up for it. We only had a few people sign up at first, but as the competition time neared lots more signed up! 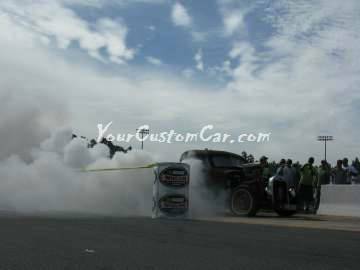 Enough, in fact, to allow us to have over an hours worth of nothing but tire smoking in the pit lane at Concord MotorSports Park! It was interesting to try to figure up how much the tires cost that were being shredded to pieces. 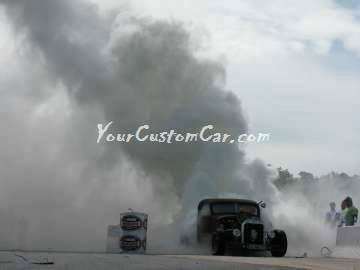 But that's what burnout competitions at car shows are all about, right? 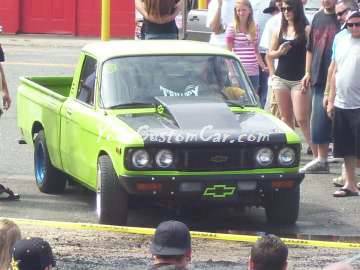 The winner of this competition, chosen by audience applause, was the Rat-Rod shown below. That's not to say, however, that the other competitors weren't ballistic in their efforts to blow their tires (virtually every one did, by the way). 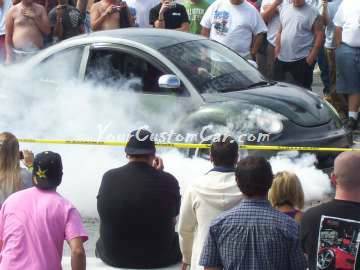 Te owner of the VW Beetle did some "Ghost Riding" Burnouts. That was Crazy, but the crowds of people seemed to get a kick out it! 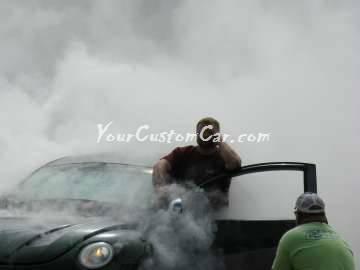 Check out the pics below to see what some of the Scr8pFest 11 burn out competitors looked like.